As a performance coach, you are going to be engaged in a lot of goal setting for yourself as well as with the clients that you help throughout your career. It is therefore very important that you grasp the fundamentals of setting smart goals and also learn the actionable tips that will make it easy to set and attain those goals. Read on and discover some effective tips to set goals and help your clients to be the best that they can be. To many people, goal setting refers to listing the things that you would like to achieve in the different areas of your life. However, as a coach, you also need to be aware that what most people do is to write a wish list. What really distinguishes someone who will attain his or her goals and another who will not is an awareness of the price that needs to be paid for the attainment of those goals. For example, nearly all overweight people set a goal to lose some weight. Question is, how many of them know, and are willing to pay, the price of losing that unwanted weight? Think of this boating analogy when thinking about goal setting. Each sailor sets the rudder in the direction of their destination. Needless to say, that alone will not get you where you want to go. Instead, you have to invest effort (whether it is rowing using oars or powering up the engine) so that you move towards your goal. 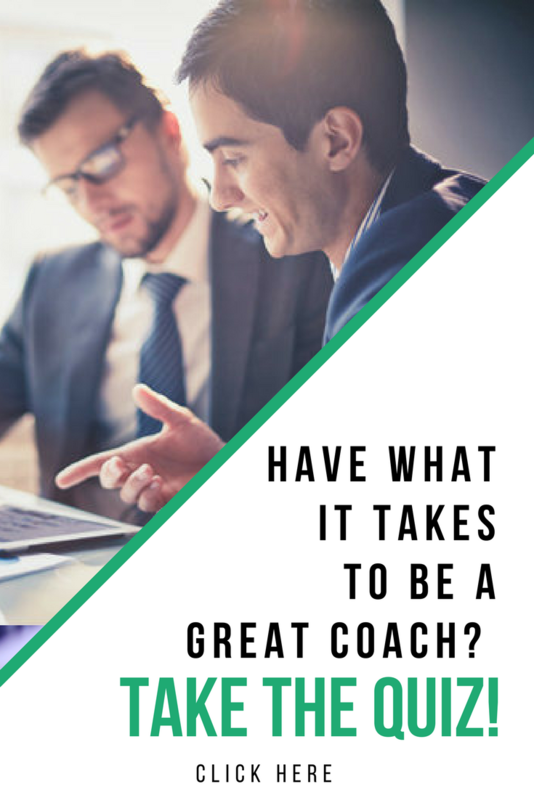 Your success as a perfomance coach may therefore hinge on how well you can guide your clients to set goals and be willing to pay the price needed to attain those goals. In the end, it won’t matter which of the types of goal setting your clients adopt as long as the “rudder and oars” function! Specific: A clear and well-defined goal that is capable of answering questions as to what the outcome of the goal is. Achievable: The goal must be attainable, you must be capable of achieving it. Realistic: A goal that is applicable to your life purpose and your resources. Time -bounded: A goal which is clearly defining the timeline, including the starting date and the deadline date. As children, we marvel at how green grass could suddenly dry up and burst into flames once you concentrated the sunlight bouncing off a magnifying lens on a specific patch of grass on hot afternoons. That simple observation is a testament to the power of focus. As a coach, you may need to be very firm in helping your clients to eliminate less important goals ruthlessly so that all their energies and resources can be centered on what is the most important goal or set of goals. For example, think about the different resolutions that people make at the beginning of each year. Those resolutions (or goals, if you like) are from diverse areas, such as work, finances, relationships, health and fitness, etc.). If you must do something every day to move towards the attainment of your resolutions for the year, will you stand a higher chance of succeeding if your effort is divided between 20 different things, or when you have to attend to only 4-5 things? Seems like a no-brainer, right? Another important tip that you can help your coaching clients to implement if they want to supercharge their way to the attain any goal is by training them how to stack their goals. This technique involves relating an actionable step of a goal to your routine so that you never procrastinate or forget to take the necessary action. For example, your client can set a goal to “do 10 pushups every day after brushing in the morning.” This “stacking” creates a very vivid way to nudge yourself into taking the necessary action. How hard is it to do 10 pushups each day? Can you forget to brush your teeth in the morning? Those seemingly small efforts expended on a daily basis build momentum towards attaining huge goals (greater body strength, for the case of the example above). Your coaching clients can apply this tip in any area of their life where improvements are desired. Regular feedback can help to motivate us towards the attainment of any goal. All the types of goal setting emphasize that a goal should be measurable for this very reason. You can’t control what you don’t measure. For example, a salesperson can use the “paperclip method” to track their progress towards the attainment of a set goal. People in this industry make sales calls, so what one does is to get two jars and place a given number of paperclips in one jar. That number represents the number of sales calls one needs to make each day. For every call made, the individual picks one paperclip from the first jar and places it in the second jar. This is repeated until the target number of sales calls have been made. This method works because it provides a visual cue or reminder about how much progress has been made, and that feedback motivates the individual to continue until the goal is attained. As a coach, can you devise different ways to apply the paperclip method or variants of this method to the different short-term and long-term goals of your coaching clients? Your success in doing this will be reflected in the success of your clients in attaining their goals! How easy can it be for a recovering alcoholic to stay sober if he or she frequently goes to a bar to chat with friends? Such an environment sets up the recovering alcoholic to slide back to his or her old habits of indulging. Similarly, you also need to help your coaching clients to reorganize their environment so that it supports the attainment of the goals set. In this way, it will get progressively easier to automate choosing the right thing and form the desired habit. For example, a person who always carries a water bottle will automatically take a drink from that water bottle each time he or she feels thirsty. It will therefore be easier for that person to stop taking a processed drink, such as a soda, when thirsty.One of the easiest ways to fail to attain your goals is by trying to achieve too much too quickly. We are human and can easily burnout, yet we must be in for the long haul if we want to attain anything worthwhile. One crucial tip in setting and attaining smart goals therefore entails setting upper limits to the minimum daily activities that you do. For example, someone who wants to improve their level of physical fitness can set a goal to “do at least 10 pushups each day, but not more than 20.” This upper limit helps you to stay within the sweet spot where you can do what you have to do each day for several months or even years. Compare that to another person who wants to improve his or her physical fitness and then attempts 200 pushups in one day, only to spend the next fortnight nursing a sore or injured body from that over-exertion. This individual is more likely to abandon their goal as unattainable! As a coach, it is your duty to reign in your clients when they get a burst of motivation and they feel like they can do everything at once. Help them to set upper limits that are in line with what is realistic for where they are at as you get started. We have included a download below to support you and your clients in creating SMART goals in key areas of their life. Use the tips above as you work with your coaching clients to set and achieve smart goals. This entry was posted in Coaching Tools and tagged Coaching Tools, Jairek Robbins, performance coach, performance coach insights, performance coach university, performance tools. Bookmark the permalink. ← How Long Should a Coaching Session Be?